Explore a Bounty of Grub and Grog and Get Into Different State of Mind. Raise a glass and take a bite out of paradise with tasty food, live music, and the best spot for waterfront dining on Matlacha. Step away from your daily routine and embark on an island adventure complete with million-dollar waterfront views at our laid back, indoor outdoor eatery complete with waterfront deck. Perched on the edge of the Gulf of Mexico, gather in casual comfort at Matlacha’s newest bar and grill experience at Yucatan Waterfront. Yarr! Join us every day for Captain's Hour from 2-6pm. Additional afternoon specials available. Two Bars, Fourteen Signature Cocktails. One Unforgettable Experience. Get boozy with a huge selection of frozen specialty drinks, a frosty beer (chilled at 28 degrees) and more. Set your watch to island time and enjoy hometown favorites made with quality ingredients just steps from the water. Lunch, or dinner served daily and includes island-inspired hometown favorites, sandwiches, seafood, pasta, and homemade desserts like key lime pie. Join us after a long day on the water, an afternoon browsing Matlacha’s legendary art galleries or for favorite sporting events. 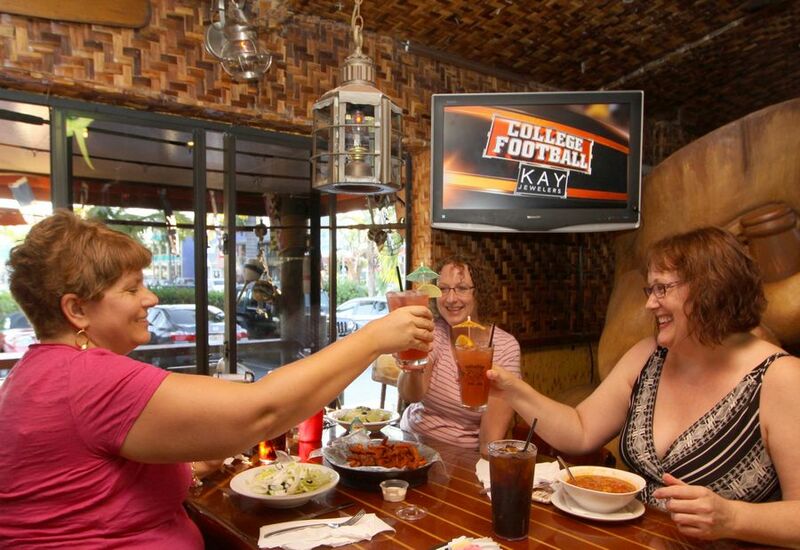 Packed to the palm fronds with people from near and far, the funky and friendly vibe provides the perfect spot dine, drink, and disconnect for lunch or dinner. Located on the southwesternmost edge of the eclectic island community of Matlacha, Florida, we are situated directly between Cape Coral and Pine Island directly on the glistening waters of Matlacha Pass.